You can go around everywhere in these studs from the Honora Geodescent collection! 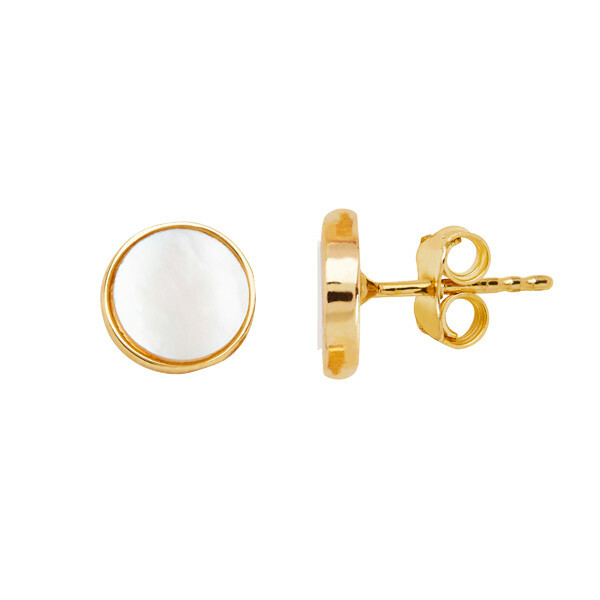 Crafted in 14K yellow gold, a freshwater cultured Mother-of-Pearl slice fills a circular shape framed in precious metal. A post back ensures your comfort and the safety of the jewelry. The delightful discs that are these Honora earrings will take you from day to night, uptown to downtown, and weekday to weekend.